Steve Lee, MD (New York) - Book Appointment Online! Best Hospital, Best Results HSS is nationally ranked #1 in orthopedics, and #3 in rheumatology by U.S.News & World Report (2015-16). 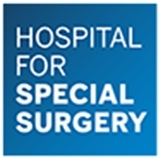 HSS has been top-ranked for both orthopedics and rheumatology for the 24 consecutive years. Because an infection can be a devastating outcome for an orthopedic patient, Hospital for Special Surgery takes infection control extremely seriously and is proud of the recognition received for our significantly low infection rates. Quick and easy. Didn't even make it to the waiting room chair before being called back! Dr. Lee and his staff are top notch.